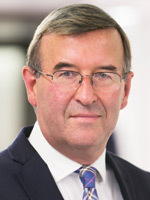 It may come as no surprise that a pre-referendum 'Brexit' poll conducted by the UK Pharmaceutical directors Club of senior management within the uK pharmaceutical industry resulted in a vast majority in favour of 'remain', with local management and head offices concerned about the possibility of the UK exiting the European union (EU) and the negative implications for their businesses. 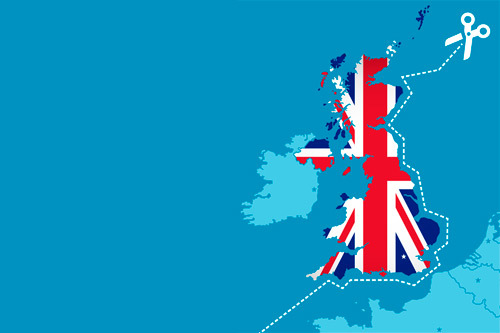 This article is an attempt to determine what implementing the referendum result means for the UK and EU pharmaceutical and medical device sectors, and to consider practical responses to some of the regulatory consequences. For a medicinal product to be placed on the EU market it must have a marketing authorisation (MA). An MA may be granted on a 'centralised' basis whereby the European Medicines Agency (EMA) reviews an application and makes recommendations to the European Commission. The product may then be sold throughout the EU. This route is compulsory for most biotechnology products and orphan medicines and is generally followed with other high technology products. Alternatives are the decentralised or mutual recognition procedures whereby an application is considered by a 'reference member state' residing in the EU and, once assessed or approved by that country, the other EU 'reference member states' should in principle grant consistent national approvals. Issues arise as to whether the UK could continue to be the reference member state for authorised products after it leaves the EU. Additionally, an MA applicant or holder must be 'established' in the EU. Further, the sponsor of a clinical trial in the EU, who is not established in the EU, is required to appoint a 'legal representative' with responsibilities for managing the trial locally. Similarly, a sponsor of a medicine with orphan drug designation will need to be established in the EU. In addition, the import of medicines into the EU requires an import authorisation, and manufacture within the EU requires a manufacturing authorisation, and these allow the holder to release the product for supply throughout the EU. Similarly, those distributing or brokering the supply of medicinal products are required to obtain authorisations to do so. Finally, pharmacovigilance (PV) requirements mean that the Qualified Person for PV must be established in the EU and the PV database and master file must be accessible from within the EU. Placing a medical device on the market requires the manufacturer (who again either needs to be established in the EU or who must appoint an authorised representative residing in the EU) to obtain a CE mark with respect to the product evidencing its compliance with certain 'essential requirements' set out in one of the three medical device directives. In the case of low-risk (class I devices) the manufacture may affix the CE mark following a self-certification procedure. However, for higher risk class II and III products the CE-mark must be obtained from a 'notified body', a private organisation certified as competent to accredit a product as meeting the essential requirements. Once a CE-mark is granted it allows the product to be sold freely throughout the EU. The EMA and other EU medicinal product organisational and licensing arrangements are restricted to EU and EEA members, so the UK, if outside the EEA, will be excluded. Indeed, the EMA will, in these circumstances, be expected to move its headquarters from the UK and relocate in one of the remaining EU countries. Nor will rapporteurs from the UK be accepted. However, as part of the forthcoming negotiations, it would seem sensible for the UK to agree a Mutual Recognition Agreement - such agreements already exist between the EU and Switzerland, Canada and Australia. The EMA will certainly regret the loss of the UK competent authority, the Medicines and Healthcare Products Regulatory Agency, insofar as it is one of the most respected member state competent authorities and the most used rapporteur under the centralised system and reference member state under the mutual recognition and decentralised systems. A particular irony is that the new Clinical Trials Regulation, which introduces the possibility of a single approval for a pan-EU clinical trial and has been sought after for many years, may now come too late for the UK to benefit. The Regulation will probably come into force in October 2018. For medical devices, a question arises whether they should retain an authorised representative or manufacturer in the UK? Similarly, should manufacturers continue to use a UK notified body? However, joining the EEA or entering into a mutual recognition agreement under EFTA could mean that UK originating devices would still benefit from access to the EU market. The likelihood of an extended negotiation period means there may be little material change for at least two years and probably substantially longer. However, before any action is considered, it would be appropriate to identify all applied for or granted marketing authorisations, clinical trial approvals or legal representative status, orphan designations and supply chain licences held by UK affiliates, as well as any key regulatory functions performed by them including qualified or responsible persons and siting of databases. For medical devices, one would similarly identify those products for which a UK company is either the manufacturer (CE marking holder) or the authorised representative and where the selected notified body is based in the UK. If the UK goes the EEA route, little will need to change, even after Brexit, as all EU rules will apply within the UK wholesale with UK companies able to apply for and hold the requisite approvals and licences. An exception is that MA approvals under the centralised route would need to be nationally implemented as they would not apply automatically in the UK. Were the UK to go the Swiss route or WTO, much of UK life sciences law is derived from EU law either through Directives implemented nationally in the UK or through EU Regulations, which have direct effect. Accordingly, transitional measures could well be brought in to ensure that both the UK implementing laws and the EU Regulations would remain in force until amended or revoked. However, the MHRA would have to transfer marketing authorisation applications for which they are either rapporteur or the reference member state to other member state regulatory authorities. With goodwill on both sides, an easy solution might be a series of mutual recognition agreements in relation to both medicinal products and medical devices - as UK governance in both sectors is widely respected throughout Europe there is little reason (other than possibly political mischief-making) why this would not be achievable. This would be particularly important for the supply chain to ensure importers and manufacturers would be able to release product for EU supply - and vice versa. By way of precedent, Switzerland has an agreement with the EU mutually recognising GMP licences to facilitate this. It also has a similar agreement leading to mutual recognition of CE-marking for medical devices. Similarly, UK notified bodies can point to existing mechanisms in place for non-EU countries, including mutual recognition agreements involving the US, Canada, Australia, Switzerland and Japan. Seeking the adoption of regulatory and reimbursement regimes designed to encourage rather than deter the use and adoption of new treatments.